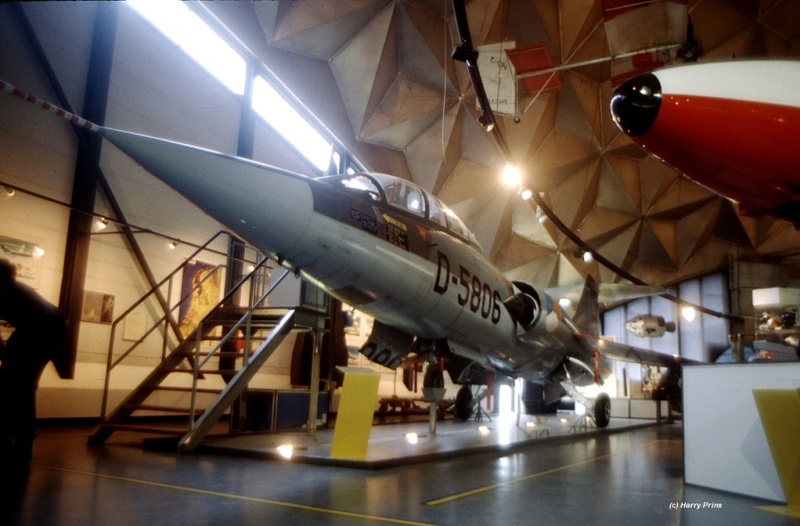 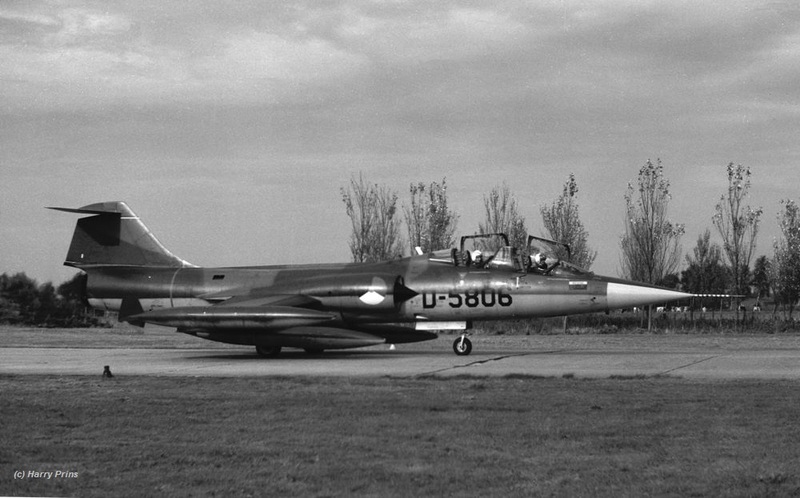 TF-104G D-5806 at Volkel in the 60s, still light grey and with TDM badges. 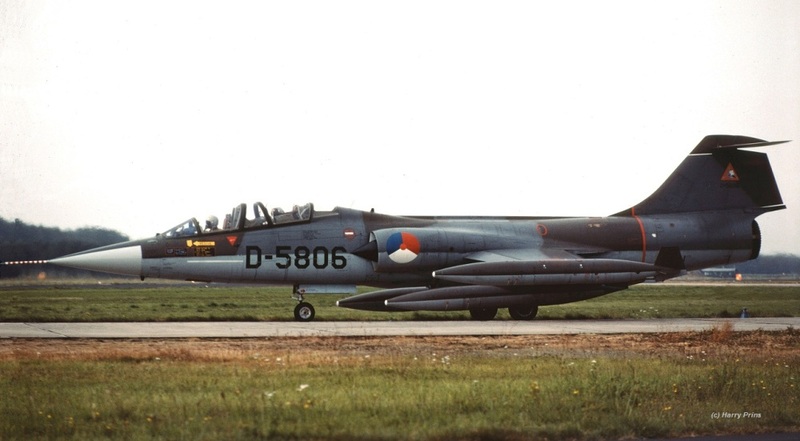 TF-104G D-5806 during the spottersday at Volkel, 22 October 1980, taxying to the runway. 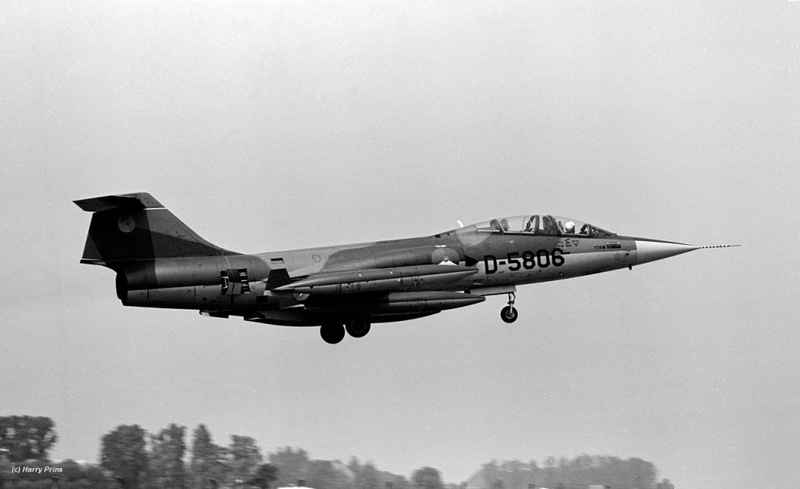 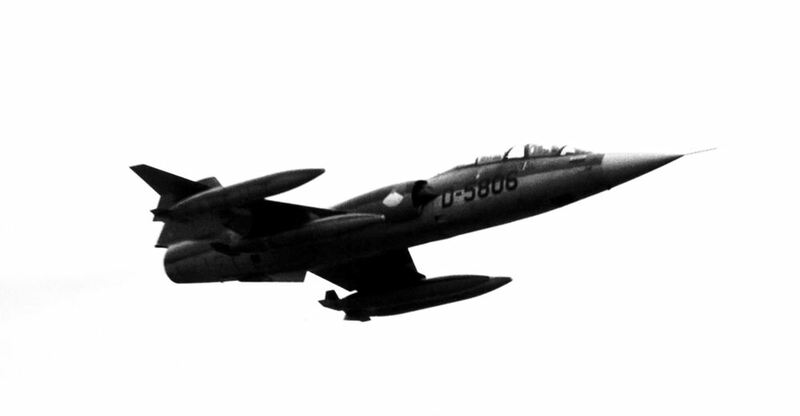 TF-104G D-5806 during the same spottersday as above, 22 October 1980, but low passing the spotters. 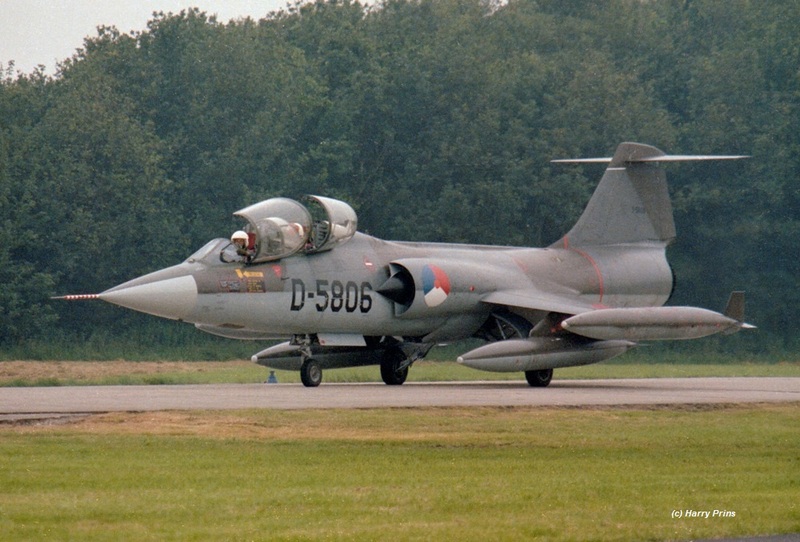 TF-104G D-5806 landing at homebase Volkel. 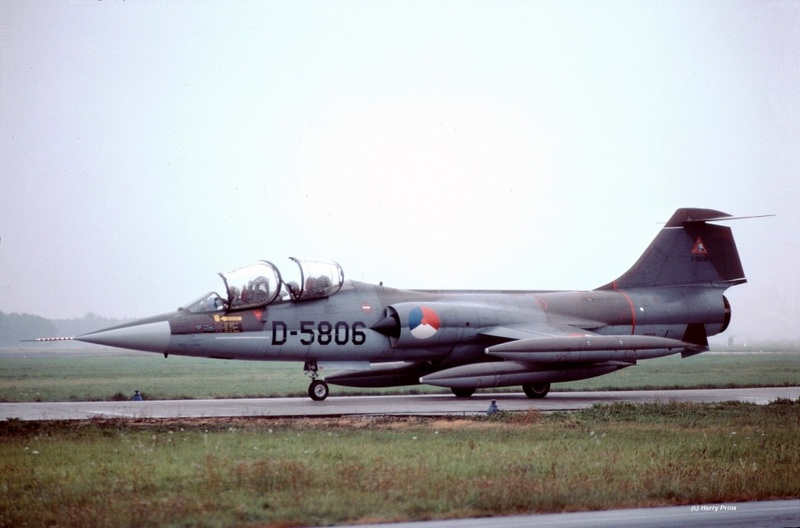 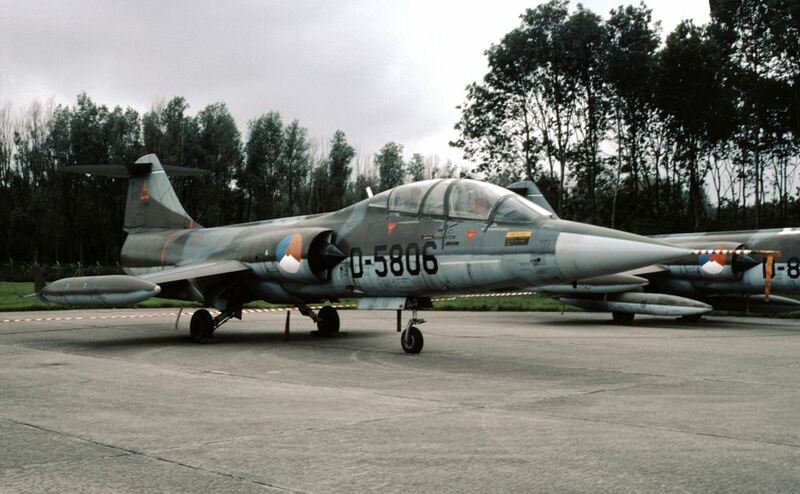 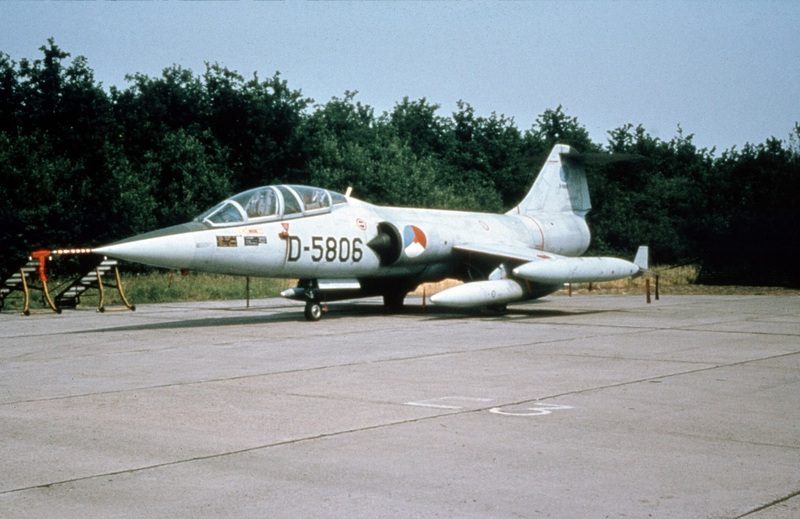 D-5806 taxying to the runway of homebase Volkel without CAV markings, 4 July 1980. 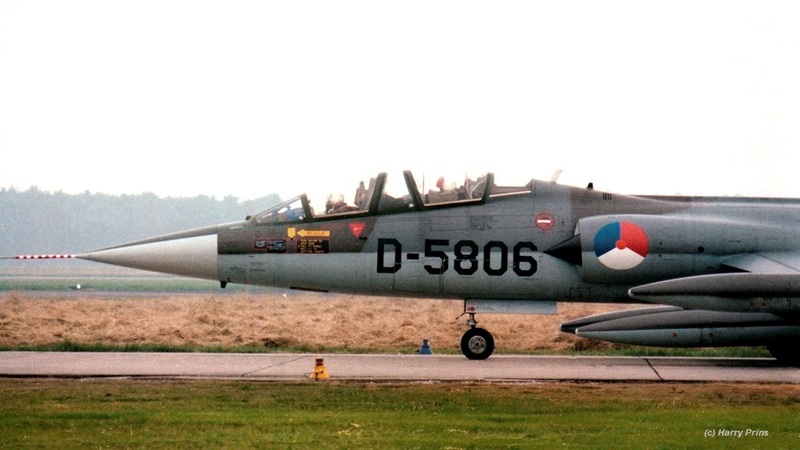 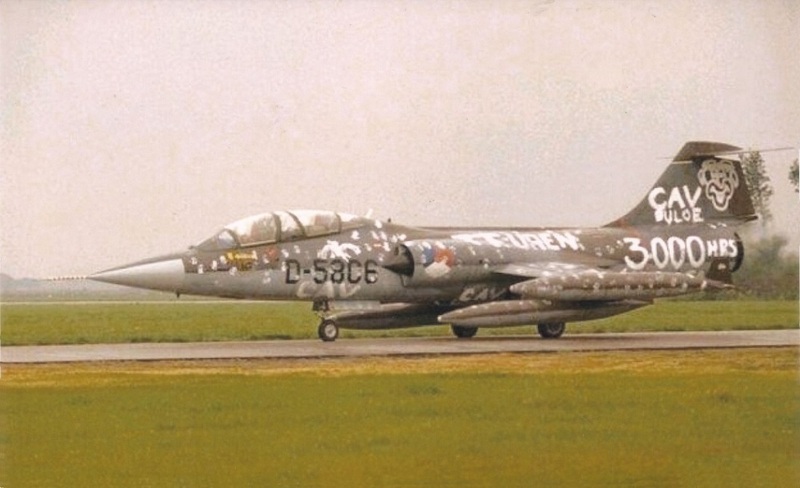 D-5806 taxying to the runway of homebase Volkel with painted decoration to celebrate 3000 hours, 21 July 1981.